Oh, eggplant. I’m sure I’m not alone in stating that it isn’t my favorite vegetable. 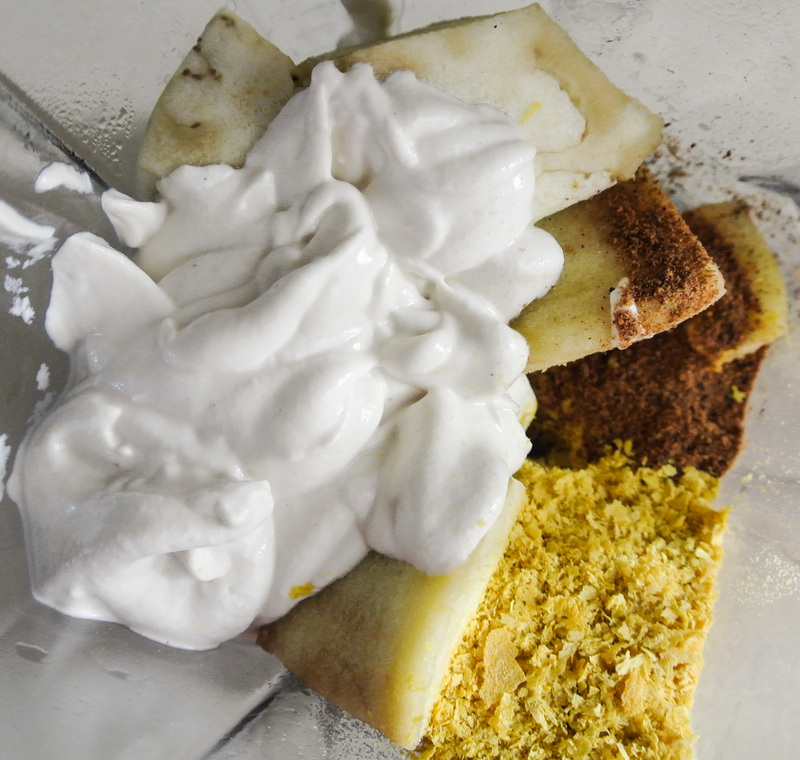 Up until recently, I’ve only been able to think of a handful of ways to make it truly delicious and appetizing. One of those methods includes breading and frying it in classic eggplant parmesan. 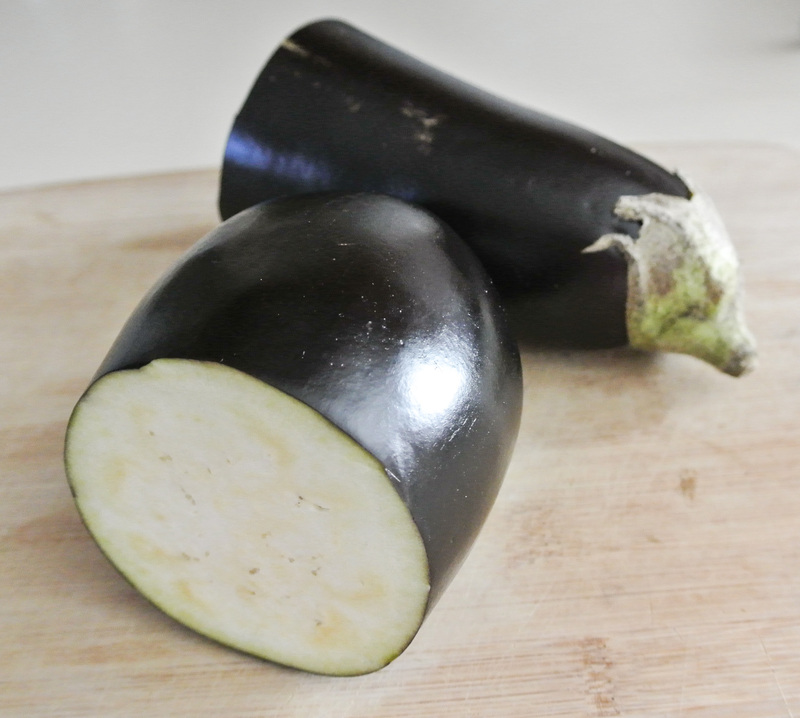 Totally scrumptious, yes, but this popular Italian vegetarian dish contains so many unhealthy components that the benefits of the eggplant practically become negated. When Nolan was just beyond eating only pureed fruits and veggies and on to soft whole foods, I thought that eggplant would make for a unique sauce. Since I was so used to pureeing it for him anyway, I imagined that flavoring it up and pouring it over pasta would make it more appetizing for me, too. I’m happy to report that that early kitchen experiment was a success. When I had leftover cashew cream from last week’s potato salad, I got creative in taking my original eggplant pasta sauce up a notch. The addition of the cashew cream provided for a dairy-like richness that reminds me of an alfredo, sans all of those animal products. If you, too, are struggling to make the best of the mysterious purple vegetable that, in fact, is nothing like an egg at all, today, you are in luck! While an appealing flavor and texture transformation might be reason enough to make this pasta sauce, the eggplant contains a whole host of health benefits. First, it contains cholorogenic acid, known to prevent healthy cells from mutating into cancer cells and also a key player in lowering bad cholesterol. Secondly, it is low calories, but high in fiber, vitamins, and minerals. 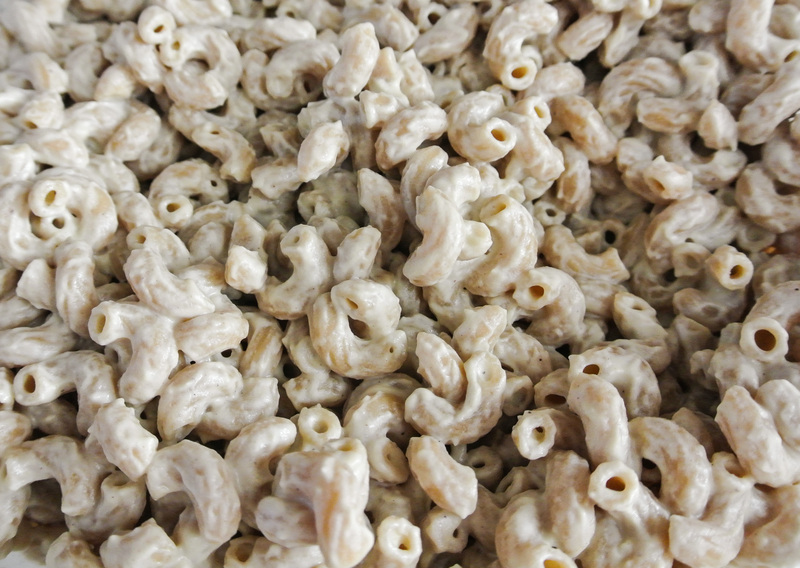 Its blandness—like the russet potato—is an ideal blank slate for something like a pasta sauce. Truthfully, this formula is in its newborn stages and I’m not sure how it would hold up to substituting different vegetables, but I imagine that it’s the cashew cream that brings it together. Point is, if you pureed nearly any cooked vegetable with the cashew cream, I think that you would achieve a similar sauce (in consistency, at least). Try this out with eggplant first and see how it goes with another of your favorites that you have been fruitless in repurposing. Enjoy! 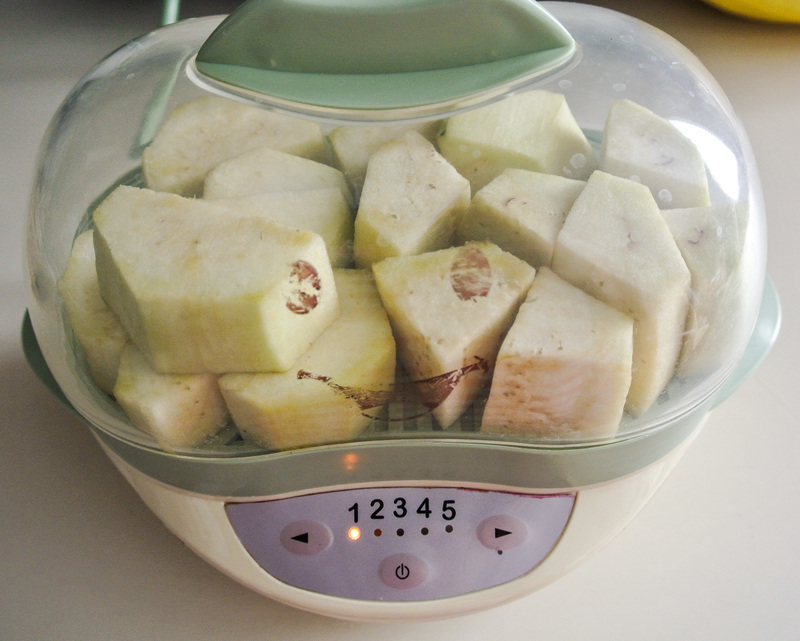 2 cups coarsely chopped raw vegetables –> I’m using eggplant. 1 tbsp acid (i.e. vinegar, mustard, citrus juice, etc.) 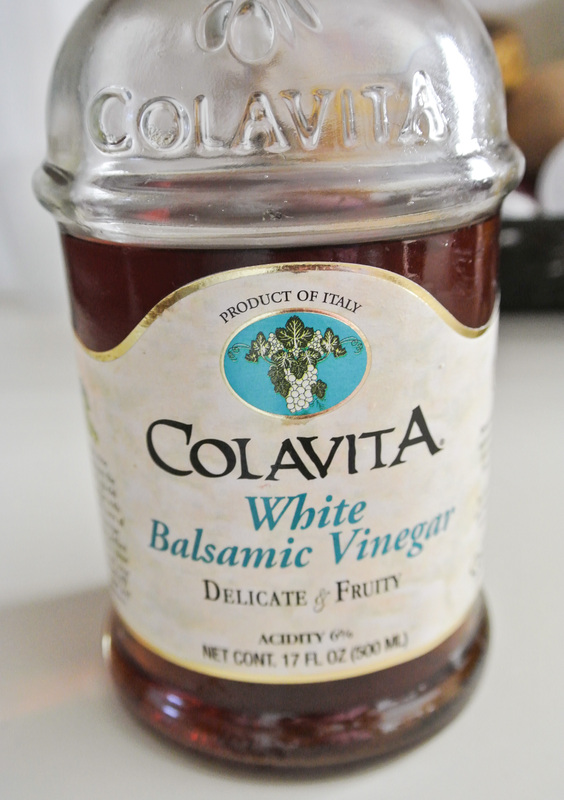 –> I’m using white balsamic vinegar.